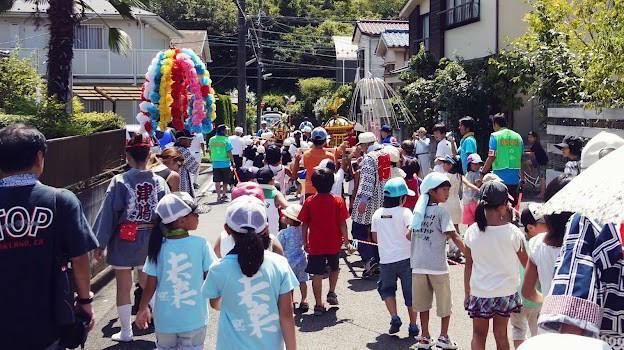 This year is the first time Sidra participated in a kids’ mikoshi parade in the neighborhood. 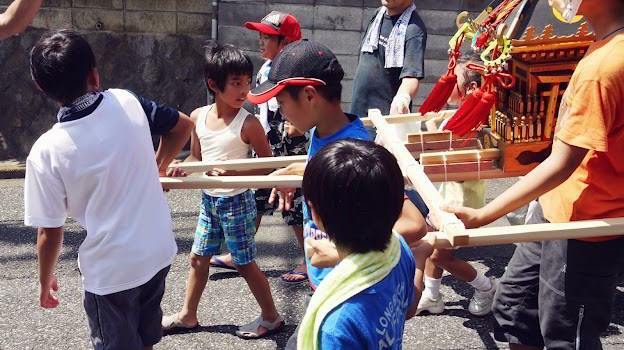 Actually I had no idea what mikoshi was until we got the invitation to join. 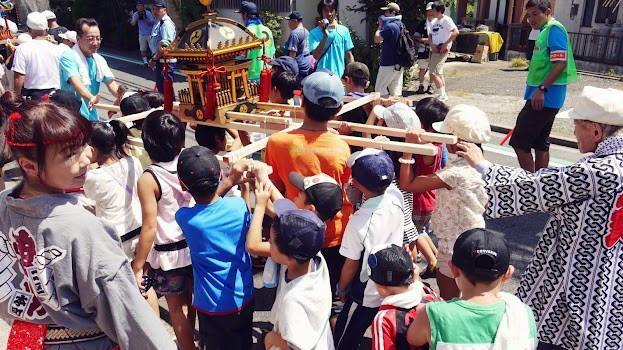 There were two kids’ mikoshi, both of them are like miniature versions of the ones I often see in festivals. 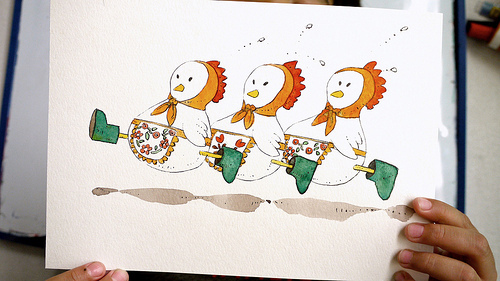 The kids would carry them around the neighborhood before going back to the starting point. 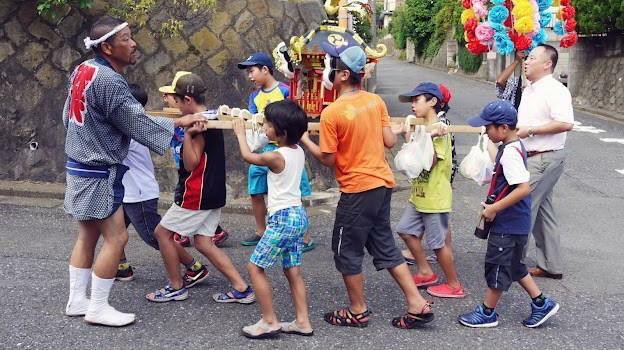 It was quite a long journey in such a hot summer day, so there were several resting points where the kids were given snacks, drinks, and also presents. 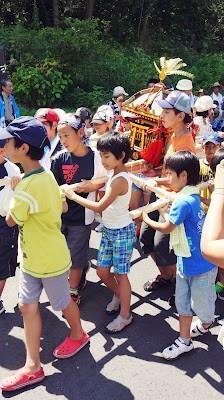 With the taiko drum pounding, the kids and parade followers chanted ‘wasshoi! 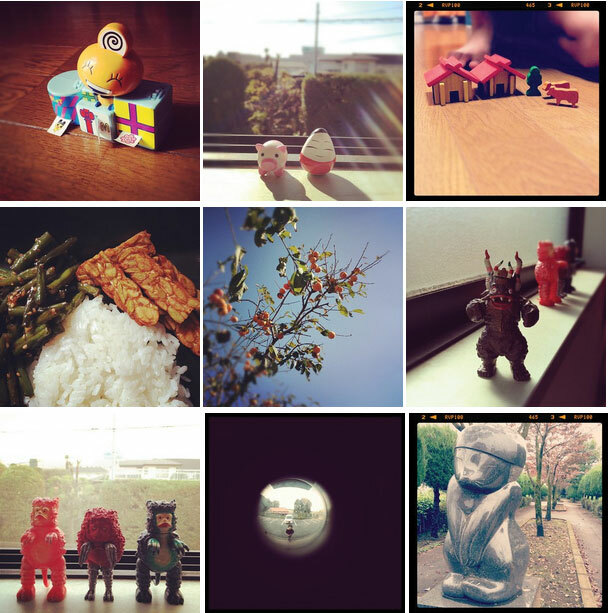 wasshoi!‘ along the journey. 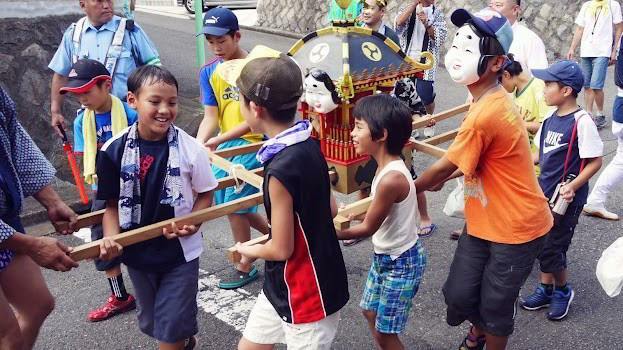 Sometimes the mikoshi are swayed up and down. 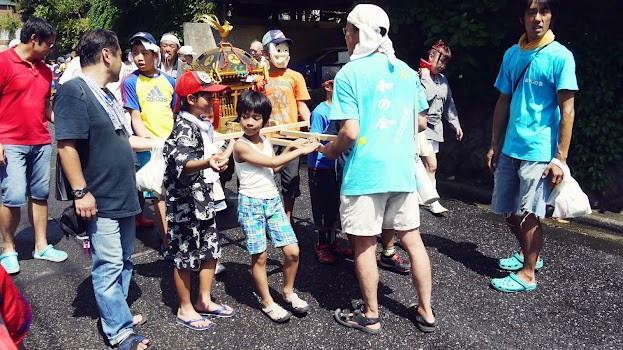 People were coming out of their houses and clapped their hands to cheer the mikoshi bearers. It was quite an interesting experience! The journey lasted for almost two hours before the kids reached their destination. Afterwards, they were invited to have lunch together, homemade onigiri, soup, and cold tea. Sidra had quite fun participating in this event. All his neighborhood friends were there and they were all happy despite of the hot weather. 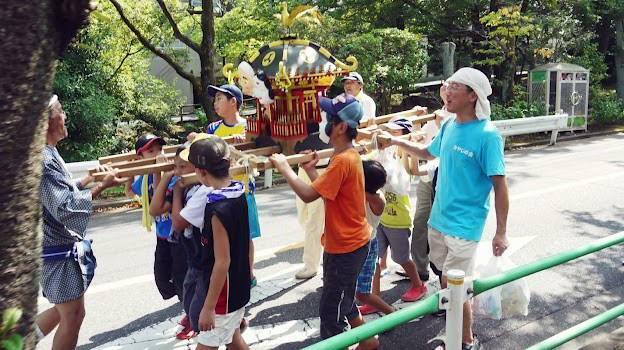 He only complained that his shoulders were hurt because of swaying the mikoshi, but didn’t seem tired at all. 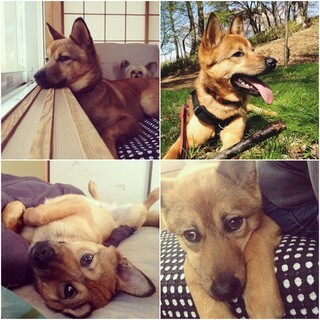 After the event was over, he rested at home for a while before going off again with his friends to the summer festival in the neighborhood park. My husband and I caught up later and we spent the night enjoying the festival. I guess it is time to say goodbye to summer. Until next year!